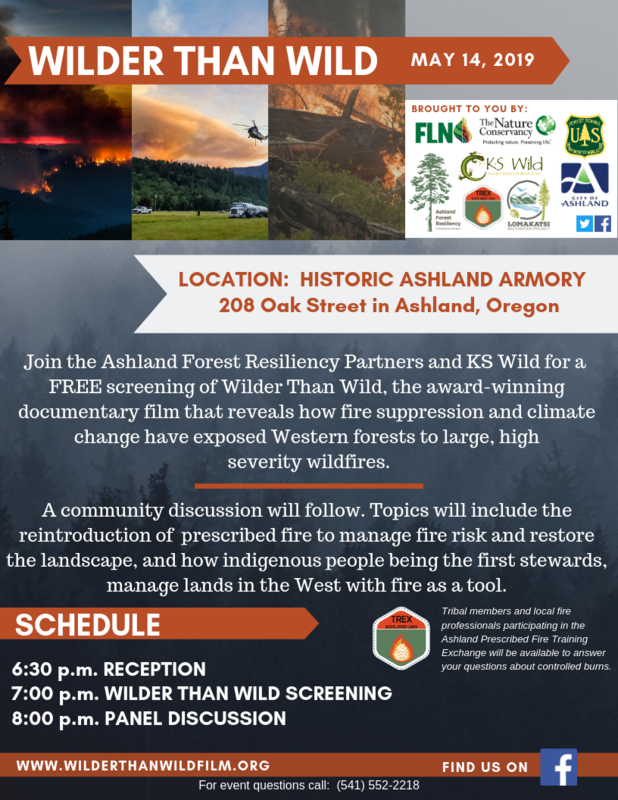 Join us for a free screening of the documentary Wilder than Wild at the Historic Ashland Armory on Tuesday, May 14th. TIME 6:30 p.m. to 8:30 p.m.
Ashland Forest Resiliency Partners will lead a hike of the Lower Red Queen Trail this month. Explore the Ashland Watershed with partners from the Ashland Forest Resiliency project. Learn more about how forest restoration is conceived and implemented for the diverse habitats in Ashland’s watershed. Hikers will meet at Terrace Street then, hike up The Lower Red Queen trail. 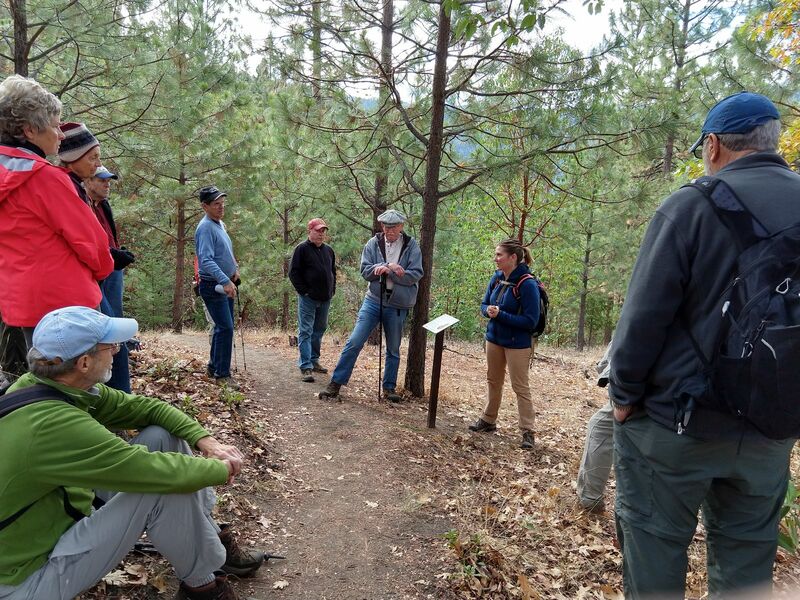 Hikers will pass through forest restoration sites on U.S. Forest Service and City of Ashland lands, including several years of prescribed burn projects closer to the city. ERA OF MEGAFIRES: How do you want your fire? How do you want your smoke? On Wednesday, November 8th, 2017 Dr. Paul Hessburg presented his research on fire prone landscapes at the SOU Science Auditorium. Several community members came to the presentation to learn more about how we can address the threat of wildfires in and around Ashland. If you missed the presentation, check out Dr. Hessburg's TedTalk.